“Our Father.” Only two words, and yet, if we learned to pray these words as Jesus instructed, our lives would be radically transformed. 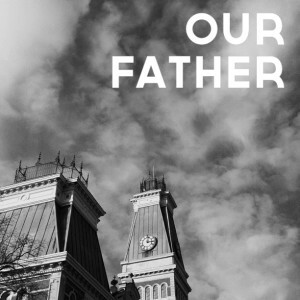 In Jesus’ day it was not uncommon to address God as Father; this wasn’t new. But Jesus made this way of speaking to and thinking about God, normative. “Father,” in Jesus’ view, should be the customary interpretation of God. Jesus went so far as to call God “Abba.” This was not a formal term for the male parent. This was an affectionate Aramaic title used by the smallest of children, a term of tenderness. Welcome. Approachability. Vulnerability. To think of God as “Papa” or “Dad” was a total upheaval – a redemptive upheaval – in terms of God language. Consider that the pietistic Jews of Jesus’ day wouldn’t even say God’s name, nor would they write it down. “Yahweh,” God’s name as revealed to the Old Testament patriarchs, was spelled without the vowels, all in an effort to maintain reverence. And a common Jewish prayer of Jesus’ day began with sixteen different adjectives to describe God, but the prayer never called his name. What a contrast, as Jesus began his prayers with the simple, audacious word “Father.” God is neither a distant, ambivalent, unapproachable deity, nor a vindictive titan who has to be constantly placated. Instead, he is a loving parent, and consequently, we are his beloved children. We are accepted, treasured, and cherished. This unconditional, parental love of God was the driving force behind Jesus’ ministry. Jesus didn’t come to earth as the Christ to change God’s mind about us – as if God really wasn’t sold on humanity in the first place and Jesus had to come work out a deal to avoid our destruction – that is absolutely preposterous. No, Jesus didn’t come to change God’s attitude toward us. Jesus came to change our attitude about God, revealing him to be a benevolent Father wooing us into his welcoming arms. This God can be trusted. He can be revered. He can be loved, because he loves us. Embracing God as Father is nothing short of a spiritual shake-up, correcting the many misrepresented images that have been put before us. Now, I’ll hurry to say that the use of “Father” should not be taken as exclusively paternalistic or masculine. Jesus was not talking about the sexual identity of God, as if God uses the men’s room. The point is that God relates to us as a compassionate parent, mother and father, not that God has a “Y” chromosome. In fact, to introduce God as “Father” to some folks isn’t helpful; it is detrimental, as the word “Father” has too much baggage attached to it. This isn’t an attack on God’s parenthood. It is an acknowledgment that some people struggle with the image of divine parent, because they have no healthy model with which to compare it. Too many people have had lousy, abusive fathers. Too many have been harmed, raped, hated, or abandoned by their fathers. Too many have problems with men – men who have used and maltreated them with such intensity, that to begin a prayer, “Our Father,” creates an emotional and spiritual tailspin before they even get started. What comes to their mind when they think about God is not a beneficent image. And while they can speak of God as “Creator,” “Lord,” even “Mother,” the idea of Father is associated with far too much pain to be useful. So let me be clear that this is a metaphor. It is a signpost pointing to something else, someone else; someone who is better to us than anyone else could be; someone who loves with an absolute love; someone who welcomes us into his arms without qualification or reservation. So you might call on the Almighty using words like God, Yahweh, Jehovah, Father, Mother, Parent, Papa, Protector, Provider, or Guardian – even Uncle Charlie or Aunt Lucille – whatever word is most associated with love, trust, welcome, and safety. Call God what you will; but call on him (or her). You will be welcomed, always.